Pageo’s gift shop is full of unique products and gifts for your home. Come visit us for a large selection of fragrant lavender products home decor. Visit Pageo Lavender Farm for lavender box lunches. 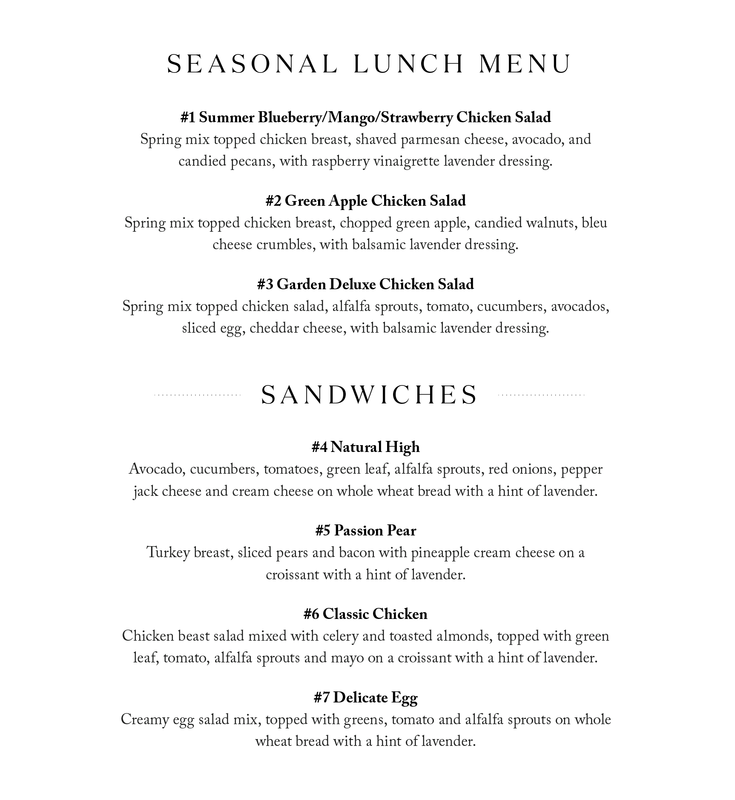 Please view the menu below to see the variety of sandwiches and salads to enjoy at the farm. All lunches include a lavender gift, beverage & dessert. Sandwiches come with a side salad. To order your meal call 209.632.5052 or email [email protected]. Please place your order 24 hours in advance, all lunches are $20 and need to be prepaid.